Home this email finds you well. 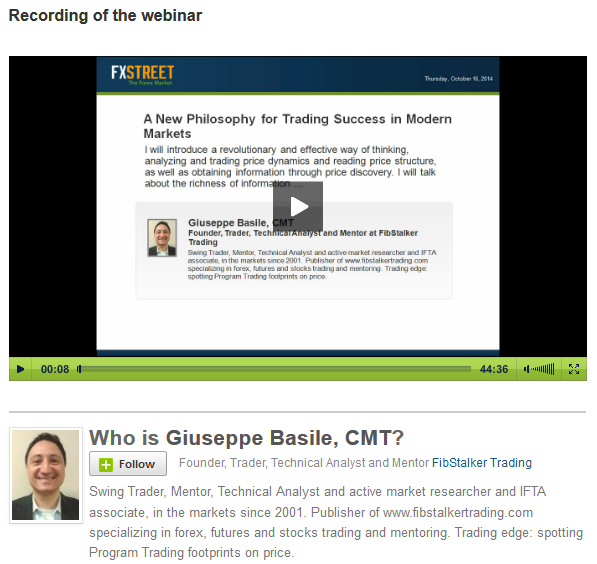 This morning, Francesc Riverola, CEO of FXStreet.com, has published the most watched webinars at FxStreet.com, this week. I want to thank all my followers and students for their interest in my work and for watching the webinar. 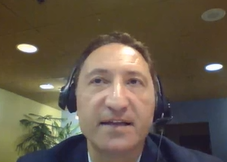 *For this pair at the end of May 2014 in this video interview for Swiss Dukascopy I have forecasted lower prices into the 1.38450. The sequence of the measured moves lower broke at around 1.4050 and then is when the move higher started. In my trades I use methods based on modeling the effects of Program and Algorithmic Trading on price. I also time the areas of support and resistance showed in the examples in the video above using a proprietary technique called FibStalking. This is a timing technique that allows to procedurally test area of potential participation from program trading and algorithms in a procedurally way. This helps reducing uncertainty and removes stress from the trading process. Note: if you have not made it and could not subscribe in time, worry do not! 🙂 When you subscribe you get the links to the last 6 newsletter issues, including tonight’s issue. hope the Thanksgiving break was a good opportunity to spend time with your loved ones and reflect to the good things that are sent to us. It surely was for me! Here I am sharing a Weekly Review of the market that I normally make available to my free Newsletter subscribers only. Need to prepare for your trading week or just want to get a different opinion on the financial instruments you follow? Do you want to understand more about how algorithms in modern markets can give you an edge? 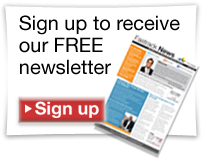 If you want to have access to the content and watch the video reviews as soon as possible, as well as, receive the material every week, please subscribe my newsletter. 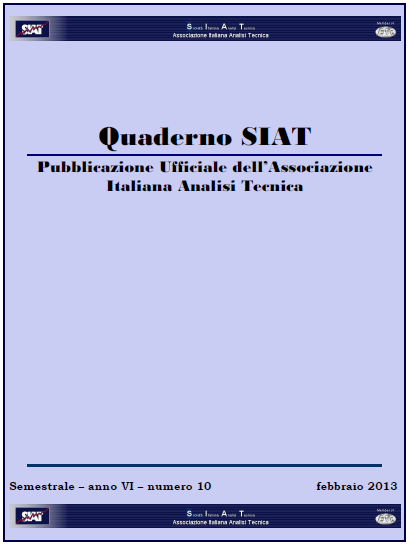 It’s free and you get additional content, comments, setups, e-books, articles, learning material and video-analysis that I don’t make available on my blog. 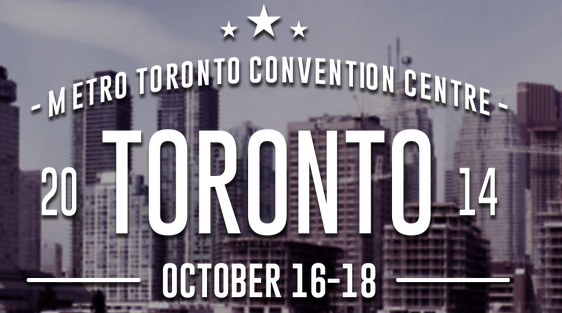 Tomorrow I will be at the Toronto MoneyShow and will present a workshop titled: “A New Philosophy to become a Successful Trader in Modern Markets”. If you are in Toronto or the GTA, join me on Thursday, October 16, 2014, 3:30 pm – 4:15 pm, at the “Metro Toronto Convention Center”.